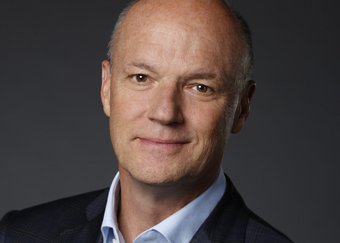 Phil Griffin | HOPE Global Forums | Presented by Operation HOPE, Inc.
Phil Griffin is President of MSNBC, the 24-hour cable news operation which had a banner year in 2016, delivering its biggest audiences in the network’s 20-year history. MSNBC is a premier destination for breaking news during the day and home to top-notch morning and primetime programming including the flagship programs “Morning Joe” and “The Rachel Maddow Show,” both of which Griffin launched. Under Griffin’s leadership, MSNBC is experiencing its best performance ever and finished 2016 as the fastest-growing top 100 cable network in weekday prime. In the same year, “Morning Joe” and “The Rachel Maddow Show” both shattered their own respective ratings records, serving up the biggest total and demo audiences in the network’s 20-year history. In 2017, MSNBC is frequently overtaking CNN in both the primetime and morning time periods. Griffin has been with MSNBC since its launch in July 1996. Prior to being named president in 2008, Griffin held high-level positions at both MSNBC and NBC News. He spent three years as Senior Vice President at NBC News (April 2005 – July 2008), where he was responsible for America’s number-one morning program, “TODAY,” after serving as Vice President of Primetime Programming for MSNBC where he oversaw the network’s evening broadcasts. Throughout his tenure, he has produced and launched several programs for the cable network including “Hardball with Chris Matthews” which he helmed from 1999-2004; “Internight,” hosted by Tom Brokaw, Katie Couric, Bryant Gumbel, Bob Costas and Bill Moyers featuring newsmakers, artists and authors; and “The Big Show with Keith Olbermann” from 1997-98. Prior to becoming an executive producer at MSNBC, Griffin was the senior broadcast producer of “NBC Nightly News with Tom Brokaw,” where he oversaw domestic stories on a daily basis. Additionally, Griffin traveled extensively with Brokaw on major breaking news events to Somalia, Moscow and the Middle East. In 1995, Griffin went to Los Angeles to head up NBC News’ coverage of the O.J. Simpson Trial. He first joined “NBC Nightly News” in 1991 as the American Close-Up segment producer. Griffin began his nearly forty-year career in news in 1980 as a producer at CNN before moving to NBC News to work on the “TODAY” show anchored by Jane Pauley and Bryant Gumbel in 1983. In 1987 he joined “USA Today: The Television Show” as senior producer before returning to “TODAY” in 1988. From 1988-1991 Griffin was a writer/producer for “TODAY,” where he covered stories including the Persian Gulf War, the San Francisco earthquake and the invasion of Panama.